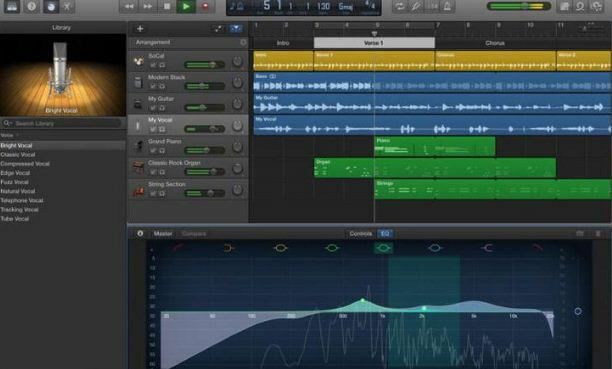 Garageband for Windows: When it comes to music producing software, Garageband easily claims the top spot. Professional music production tools may not be suitable for everyone, and honestly, they can be expensive. But if you own a Mac or an iOS device, then Garageband comes to you for free. The raging popularity of this software has sustained because of two facts: it’s free, and it’s one of the most wholesome production software that one can find sans any extra money. In this post, we will discuss the possibility of downloading Garageband for Windows and look at some of the options open for this purpose. Why Would You Need Garageband For Windows? 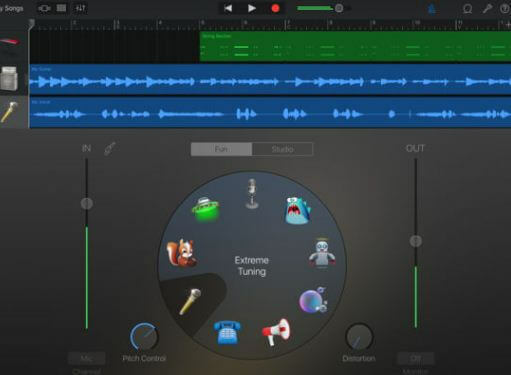 Garageband is a tool that is available for iOS and macOS devices, and its purpose is to let users create their own music without an elaborate studio set up. The idea springs from actual garage bands and the whole point of this software is to let its users put their passion for music to use. Packed to the rafters with essential instruments (strings, percussion, wind, Garageband has it all), it also includes a range of audio presets and samples to help you get started. Moreover, you can put up your finished track on supported platforms. If a Mac owner wants to get Garageband for Windows for their PC as well, you would understand why. Now Windows is a great platform, and there are many professional grade DAWs (digital audio workstation) for the PC and Mac such as Ableton Live, but they need to be bought. Windows has its own native mixer available for use called Mixcraft, but it barely matches up to the level of Garageband. Besides, if you own both a Mac and a Windows PC, you would want your work to be perfectly synced with one software. Is Garageband For Windows an Option? Having said all that, Garageband is an Apple software, and you already know how zealously Apple guards their ideas and inventions. So while there are some ways to run non-Windows apps on the Windows platform, this doesn’t quite work as well with apps by Apple. This is mostly because any good emulator software rarely exists for the Mac or iOS devices. However, there are a few things that one can do to use Garageband for Windows 10/ 8/ 7, albeit not directly. Check out one such method below. There is no way to make a Garageband for Windows download successful, at least as of now. But you can connect your PC to a Mac computer that has Garageband installed. This method would be useful only if you have both platforms at your disposal, and Google Chrome browser installed on both. So if your Mac is busy with running some important tasks, you can control the software using your Windows PC. Open Chrome on both the devices and add the Chrome Remote Desktop extension from here. Next, you will require to set up the extension fully on both the Mac and the Windows PC. After granting all the necessary permissions, head over to the Mac and select the “share this PC” option. Copy the access code that is provided to you. Pen and paper will be more useful in this case than Command+C. Next, access the Chrome Remote Desktop from your Windows PC, and enter the access code when asked to. Click on Connect. That’s it. Your Mac and PC are connected so that you will be able to run Garageband for PC as naturally as you would if the software was right there on your PC. If you wish to have more hands-on experience with this exceptional free DAW on Windows, tough luck. But you can take a look at some of the options that work as great alternatives to Garageband for PC. Here are a few that you can use to make music on Windows. Some of the options we have provided below are professional grade tools and are paid. 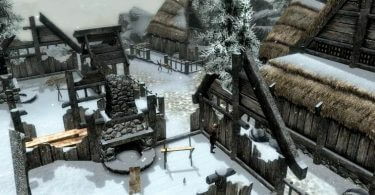 However, you always have the option to download the free trial version. 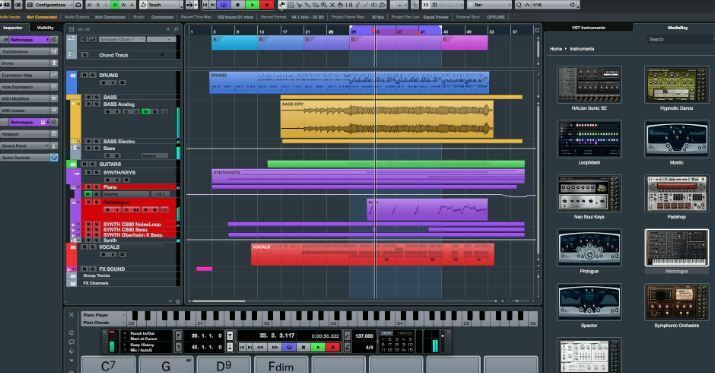 Cubase: Cubase is one of the most widely preferred DAWs used by professional musicians across the world. An all-in-one recording, mixing, and producing platform, it can be used to make highly professional records. If you have a penchant for playing your own instruments, you can use this to create an electronic sample and then plug in your instrument to record over the same. The Pro version can be used as a standalone software in a professional studio with its intuitive and interactive features. All in all, Cubase is much more than being just a great alternative to Garageband for Windows. Artists and composers like Arch Enemy, Steve Morse, Vinnie Moore, Hans Zimmer, Tiesto, and Infected Mushroom all use and endorse this platform. 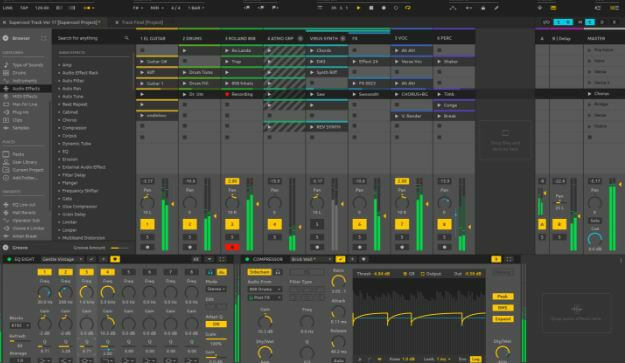 Ableton Live: Ableton Live is a comprehensive music producing platform that combines many features to assist you in making a fully professional track. If you already own a professional DJ set up like Traktor, you can easily sync it up with Ableton Live and edit your tracks in real time (this is also possible on Cubase). It packs in a whole host of live effects to let you experiment as much as you want and in the end, you will keep your audiences as well as yourself happy high on music. It is the weapon of choice for international artists like Daft Punk, Skrillex, and Paul van Dyk. FL Studio: If you have worked on software like Garageband for a while and want an upgrade to a more professional set up, you can start off with FL Studio. 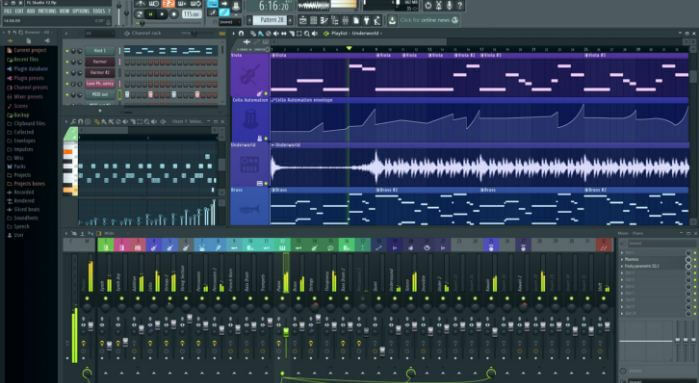 Earlier known as FruityLoops, FL Studio for Windows comes in several versions that will suit your needs, and if you buy the software once, you will receive all future updates for free. While it is not as comprehensive as Cubase or Ableton Live, it is packed with features and at the same time sports a really helpful interface that proves to be helpful for those without a lot of experience. Notable users of this platform include Swedish artist Avicii, and it is the perfect upgrade from Garageband for Windows. Garageband for Windows 7/ 8/ 10 is kind of a hard feat to pull off, and the Chrome Remote Connection method we have shared above is not an option of preference for many users. 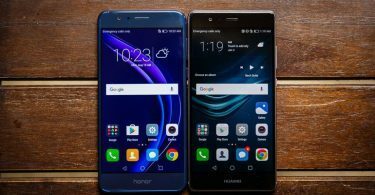 However, the Windows platform is teaming with options that are easier to access and can yield more professional results, and our picks reflect the very best among them. We hope you find this guide to your benefit, and to offer your valuable feedback on this topic, use the comments box. This was all about GarageBand alternatives, Mac has many awesome programs which people look out on Windows platform. You can check out Logic Pro alternatives for Windows and get a similar experience. Copyright © 2018. Created by Techieans.